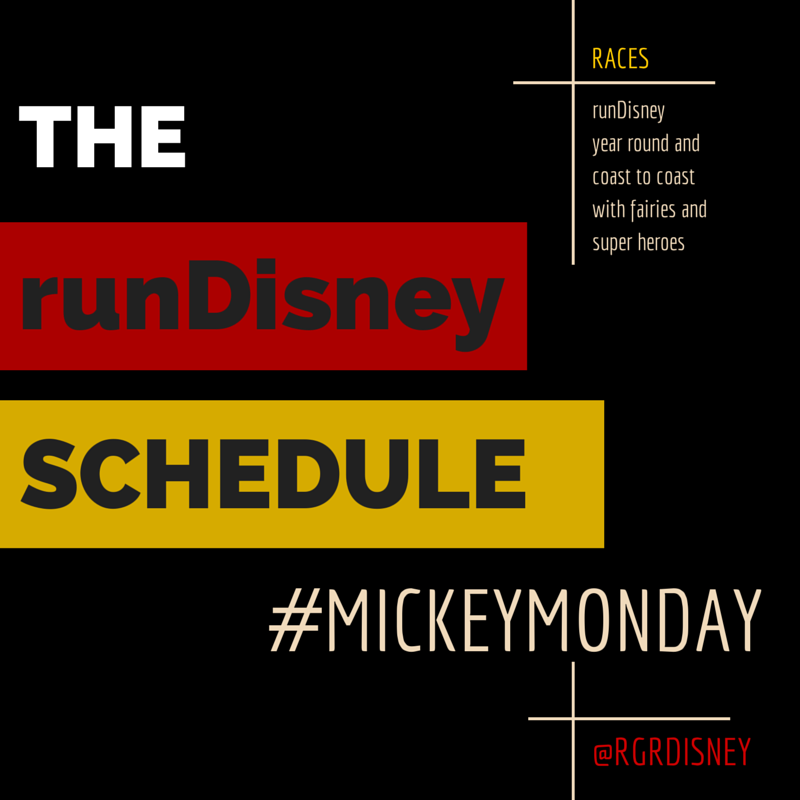 I thought a good post for Mickey Monday would be to lay out the runDisney schedule. They have many events throughout the year, so it's important to plan a choose which you'd like to run, unless you can afford to run them all, then by all means, do. This isn't meant to be an in depth look at any of the particular races (that can be several other Mickey Monday posts). This is the largest of all the race weekends. WDW can handle more runners than Disneyland, purely logistically because they can do it all on property, and of all the Florida races, this is the crown jewel. First off, it includes the only marathon on the runDisney schedule. The beauty of the full marathon is that you get to run through all 4 parks (last year also included the raceway and ESPN Wide World of Sports). With the full, the weekend also offers a half marathon, a 10K, which held it's inaugural (or inaugurual if you read the bibs) even in 2014, and a family fun run 5K. The nice part with the distances is they are character themed from the main favorites. The 5K is Plute, the 10K Minnie Mouse, the half marathon is Donald while the full marathon is the mouse himself, Mickey Mouse. As with all the weekends, I'll say it hear and not type it 20 times, there are kid races offered for the little ones of any size. I'm not meaning to gloss over like they're not important. They are. I think that it's fantastic any little kid can run and get a medal. I just don't want to type it of every race weekend I put on this. The weekend also offers 2 challenges. First is the Goofy Challenge, which will be celebrating 10 years this up coming event. 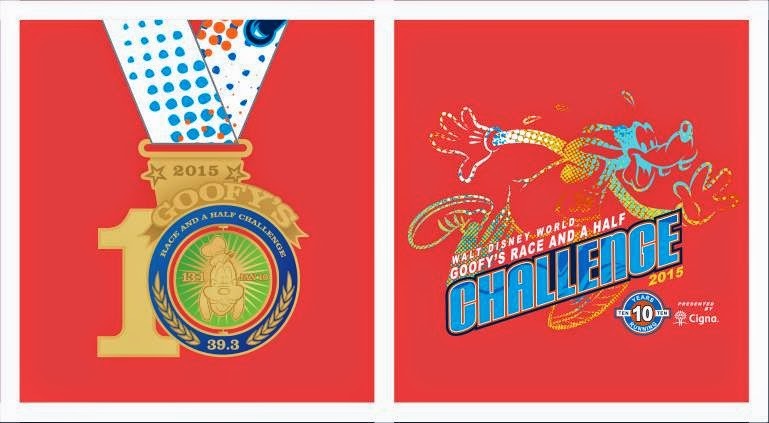 The Goofy Challenge is for anyone Goofy enough to attempt the half and full marathons back to back. 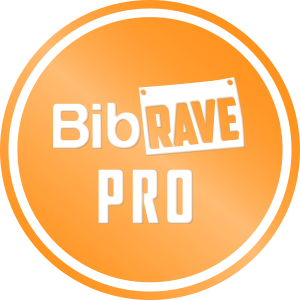 Take on the 39.3 miles of this race and leave with some special Goofy bling. Personally, this medal is HIGH on my list, simply because I am a HUGE Goofy fan. For this reason, I really hope they don't trim it out in favor of the next challenge in the long term. After the addition of the 10K, the minds at runDisney felt the need for another well placed challenge. If you're Goofy for doing the half and full, what would you be if you attempted all 4 races? Dopey, of course. Enter the 48.6 miles of the Dopey Challenge. One of the completers in it's first year: Dopey Dave (who will be going back for more). There is actually (surprisingly) still room in the Goofy Challenge, so if you think you may want to challenge yourself, take the plunge and go register now! 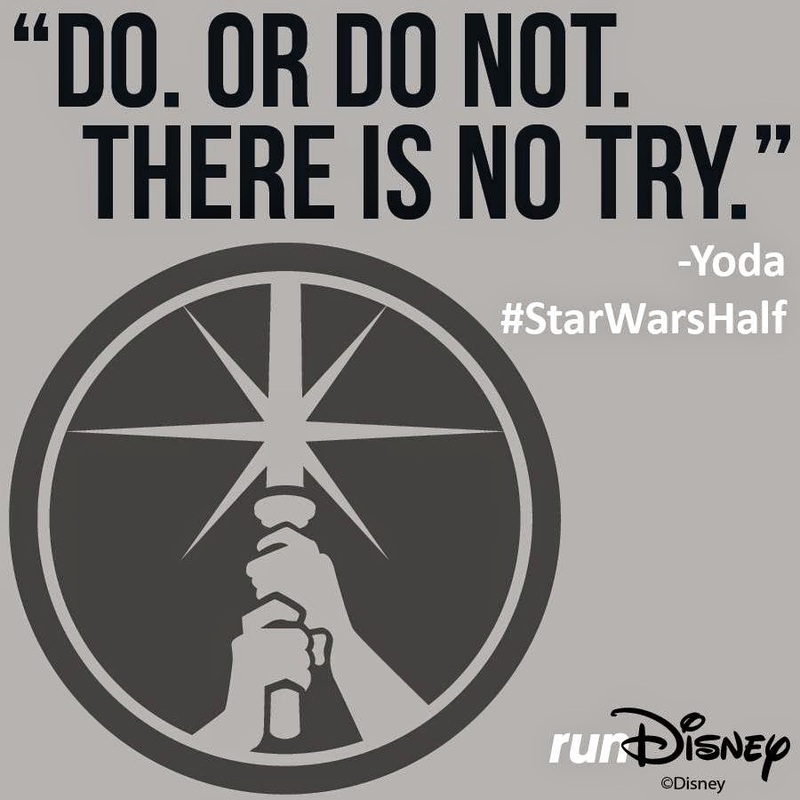 This is one of the brand new geeky runDisney races (and I say geeky as a good thing). When Tinker Bell Half Marathon weekend was moved to May, it opened up a weekend in January for a new Disneyland race. Jumping into this spot from hyperspace is Star Wars Half Marathon weekend. The weekend will offer 3 distances: the half marathon, 10K and 5K. In addition, they are offering the Rebel Challenge for completing the 10K and half marathon. There is nothing extra for including the 5K, other than pride, and isn't that enough? I have to say I love this theme. I've always loved Star Wars and am a huge geek myself, so I was glad to see when this rumor finally came true. That said, I'm one of the people that would have preferred seeing this in Florida, just to balance out Star Wars on one cost and Avengers on the other. I think that would have lent itself to some sort of special geek coast-to-coast challenge medal that I would have loved to seen (and earned). This race sold out FAST. So if you were reading this and thought, "Man, that sounds awesome. Sign me up." you're unfortunately out of luck. You can try and find a charity opening, but otherwise, be ready to register for 2016 as soon as it opens next time. This weekend is one of the two female oriented weekends. It's a "royal celebration" and all about joining the Disney Princesses (and being one too) and making dreams come true. This race weekend includes the Disney Princess Half Marathon, the Disney Enchanted 10K and the Disney Princess 5K. Also included is the Glass Slipper Challenge which includes completing the 10K followed by the half marathon the next day. While these races are female themed and oriented, men are of course welcome to still run. I know I plan on running it, though I plan on running them all, so nothing will really stop me. This weekend is also sold out, so good luck there. Hold onto your tiara until 2016 (or wear it anytime. Anytime is acceptable if you're confident enough). The second half of the female oriented weekends in the Tinker Bell Half Marathon Weekend. This race used to take place in January after Marathon weekend, but got the bump to May. It aligns with Mother's Day now, so why not take Mom for a 13.1 mile run to show your love for her. This weekend is also very female centric: all about dawning your wings as a fairy. 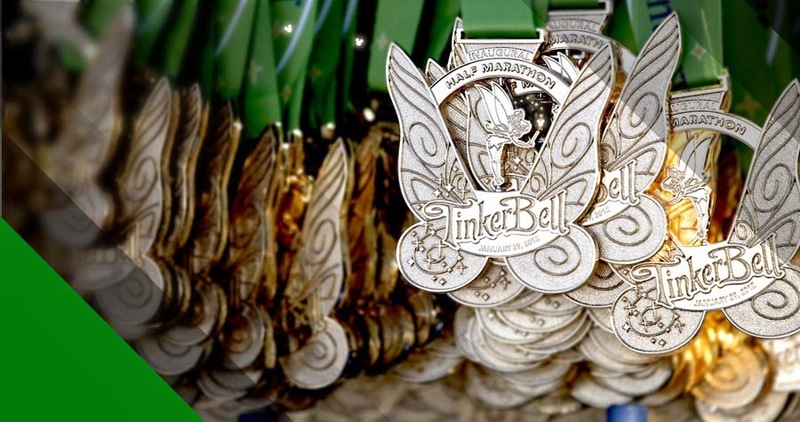 This race weekend includes the Tinker Bell Half Marathon, Tinker Bell 10K and the Neverland 5K. New for 2015 is the Pixie Dust Challenge. I bet you'll never guess what it is for running. Wrong, it's for the half marathon and 10K! In addition, if you run the Tinker Bell Half Marathon and the Princess Half Marathon in the same calendar year you get a special pink coast-to-coast medal. Registration for this recently opened, which you would know if you had seen my post on it. One of the surprising things about that is it has NOT sold out yet. You can actually still get in on the half marathon. The Pixie Dust Challenge even held out for a surprisingly long time. So why not jump on in. Go by the runDisney page and register! Fairy bling takes a pinch of pixie dust. This is easily the most unique of all the runDisney races. Expedition Everest Challenge is a "5K nighttime adventure run with obstacles, scavenger hunt". They only offer 1 race, the 5K, but they offer a nighttime version and then a daytime "Family Edition". This race is unique in that you start with a 5K run with obstacles. After completing the run, you're in Animal Kingdom at night with some clues to solve in order to complete the scavenger hunt portion of the course. This race offers a very unique experience you won't really get anywhere else. The medals for this race are also usually very unique and very cool, lately including a medal that opens to reveal a working compass inside. Registration hasn't opened for the 2015 race yet, so you'll still have time to make the 2015 race. This is the latest race on the runDisney schedule. Maybe you're even here because you've been reading great write ups on the races that just took place. Maybe you followed the tweets and got a contact runner's high. You could look at this like the bookend to the Walt Disney World Marathon Weekend. There are 3 distances offered, what is the Disney standard half, 10K and 5K. This weekend also includes a popular challenge: the Dumbo Double Dare for completing the half and 10K. 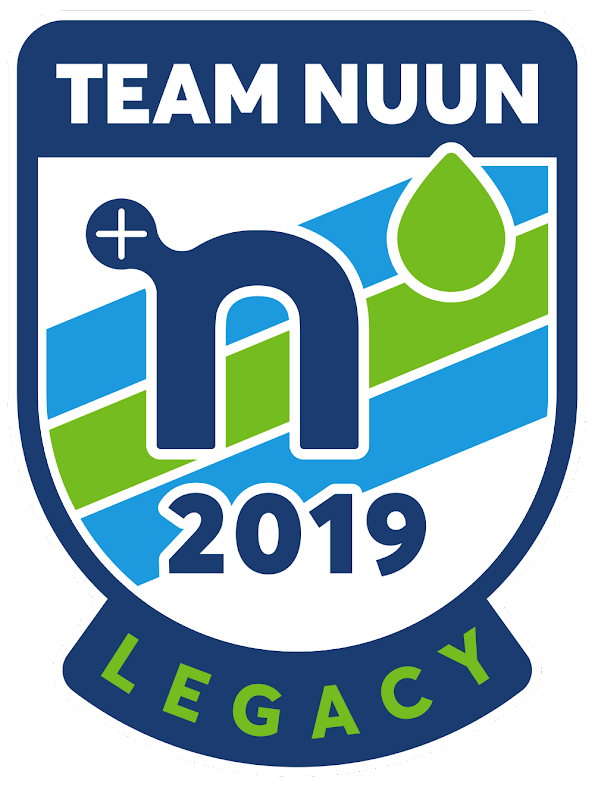 Run those 19.3 miles and earn an extra piece of hardware and some bragging rights. Well, that was a mouthful. Seriously, what a name. This is one of two runDisney night races, giving it a more unique experience. You have two races: the Happy Haunted Trail Run 5K in the morning followed by the long-named ToT 10-Miler in the evening. Obviously, October isn't exactly cool temperatures in October, which is why the race is at night, but from what I've heard, it is still usually quite humid. This race weekend is usually more Halloween heavy as you'd imagine, so you'll see other characters at the races, such as the ghosts from the Haunted Mansion. There's no challenge associated with this weekend, but you can run them both and have a split half marathon (which is my plan for 2015). Plus, after the race you get an included after hours after party in Disney's Hollywood Studios, the Disney Villains Hollywood Bash. Enjoy the rides, DJs and villains until 3:30 am. If you have kids, might I suggest grandparents to babysit that night and the next morning. This is one of the weekends highest on my desire list. The weekend includes the second of the runDisney night races. It includes two races, the first being Mickey's Jingle Jungle 5K. A Christmas themed Disney race?! Reason number 1 for this weekend. 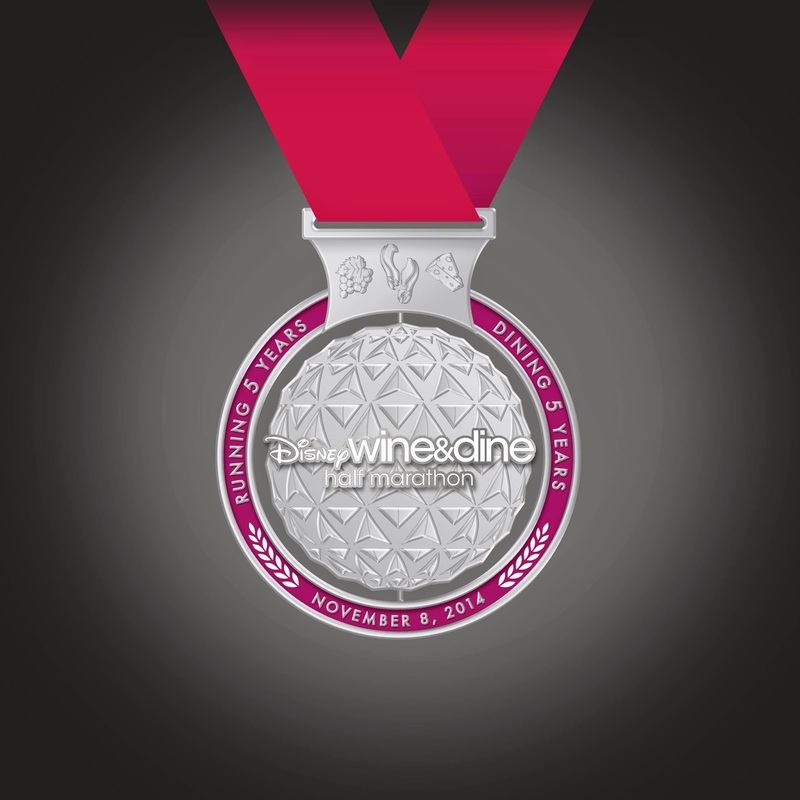 The second race is the Wine & Dine Half Marathon, another evening race through the parks. The course traditionally includes 3 parks, Disney's Animal Kingdom, Disney's Hollywood Studios and EPCOT, when other halves only include 2 parks (Reason number 2 for this weekend). As with ToT, there is no official challenge, but you can run both the 5K and half and have your own personal challenge if you'd like. Finally, this race also includes and after party, the finish line party that includes the After-hours Epcot® International Food & Wine Festival. Yes, until 4 am you can enjoy the rides, characters, music and most importantly over 25 Epcot® International Food & Wine Festival kiosk. That is BIG reason number 3 for this weekend. Who doesn't love some anniversary bling? This is the second of the brand new geeky runDisney races . This races was added to help grow the number of Disneyland races, as the east coast was out numbering the west coast heavily. The weekend will offer just 2 distances: the half marathon and 5K. There is no challenge to go with these races. 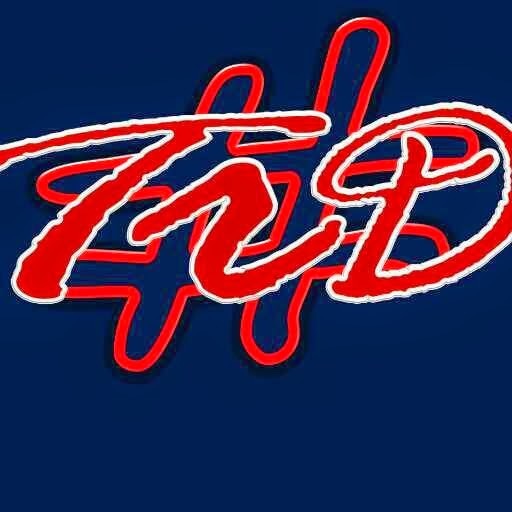 The 5K will be run on Saturday with the half marathon on Sunday. Super heroes are hot, so the theming will be great. I can't wait to see what they do with this over time. With all the expansions to the Marvel Universe in film, I am sure you will see more than just the main Avengers characters showing up over time. It should be really super. This race sold out FAST as well. So if you were reading this and thought, "Man, that sounds awesome. Sign me up." you're out of luck just like Star Wars Weekend. You can try and find a charity opening, but otherwise, be ready to register for 2015 as soon as it opens next time. So that's the overview for the runDisney schedule as it officially stands. With the way runDisney sells, you do unfortunately need to plan a little further ahead when you want to run a race. Hopefully, this can give you that starting point to plan ahead. For now, we'll jump on into the linkup. The post just needs to be about anything Disney related. This week was runDisney, last week was Moms Panel, who knows what the next will bring. Great outline of all the races! 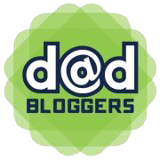 I am co-hosting a giveaway blog hop today but will see what Run disney post I can link up later! Thanks. I'll have to make sure I stop by that. Any post is welcome. Trying to get it rolling (down Main Street U.S.A). Glad you like. That is the problem I always have. At least when they are sold out, it's easier to fight the urge until the next registration opens. But when they stick around (Goofy Challenge as a key example) it's so hard to fight hitting register. Erin, thanks for sharing. You can put your link with the above thumbnails with the 'Add your link' button. Great compilation of Run Disney events!!! Thanks. Thought it could be useful to have it in one long form like this. Even on runDisney site, you have to look at the drop down menu to see the list of race weekends. This list is great! I was just telling my Husband the other day we should do a Disney race but we didn't know which one! I'll show this to him and maybe we'll pick one! There you go. No reason now to not pick one. I've always wanted to do a Disney race but haven't been able to figure it out time wise yet. Believe it or not we've taken our kids to Disney 10 times already. Not so thrilled about the 3 am buses to the start line so maybe I should do the night time run instead. You just need to do like I am for ToT in 2015, line the trip up for the kids WITH the race. The super early morning wasn't the easiest, but was so much fun. The night races to alleviate the early call.